The combination of superior strength polypropylene backing and premium performance acrylic adhesive provides unsurpassed performance in the most demanding packaging applications. Engineered to provide secure closure for heavy content cartons and large bulky packages. Will withstand the most strenuous handling conditions. 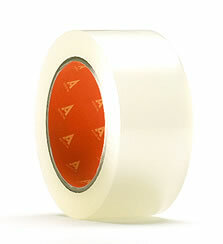 Adheva’s toughest packaging tape exceeds even the most critical performance expectations. Superior tensile strength, holding power, adhesion, UV light and temperature resistance, plus extended application life combine to create a carton sealing tape with extraordinary capabilities. Outstanding performance in applications with wide variations in temperature.